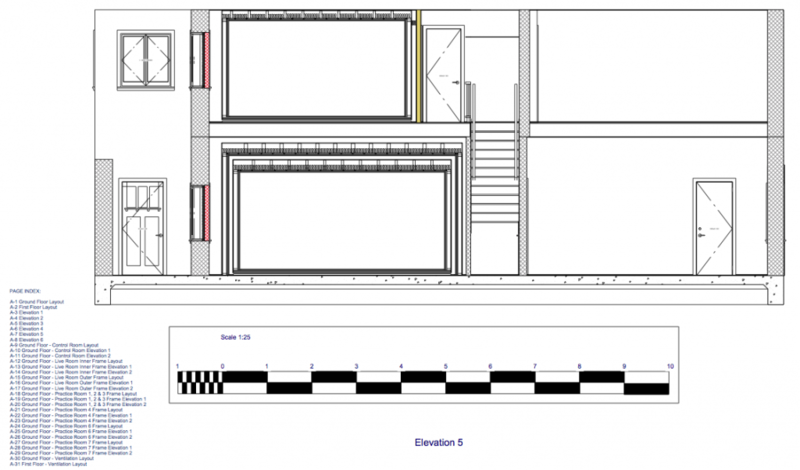 We offer various recording studio schemes, from a single mix room with single soundproof walls and acoustically treatment design, to full multi complex recording studio schemes. 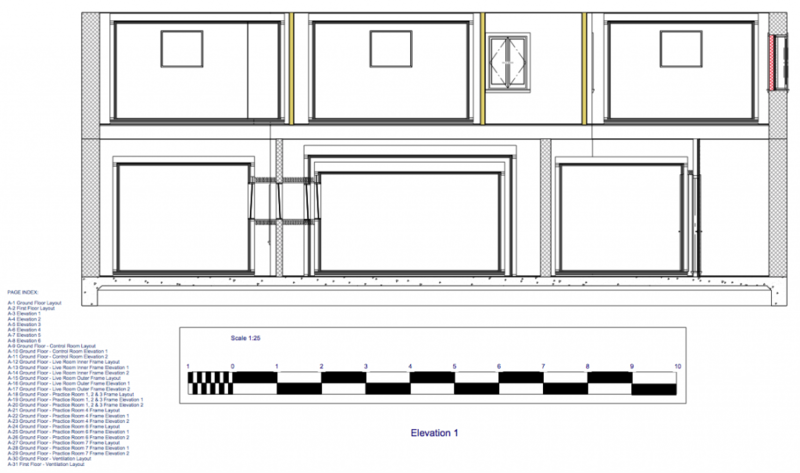 Recording Studio Schemes are purely ‘design-only’ and mean we will only supply you with a recording studio design, leaving you to construct the studio yourself. 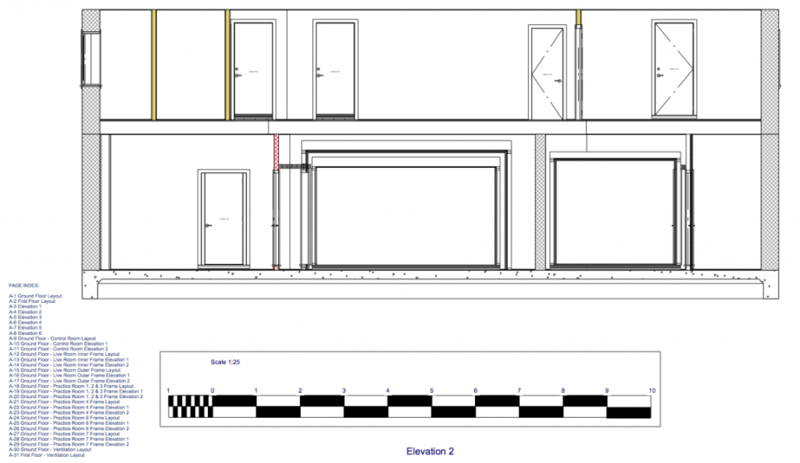 Each recording studio scheme comes with 2D layout drawings in PDF and DWG format, several 2D elevation drawings and a design report. 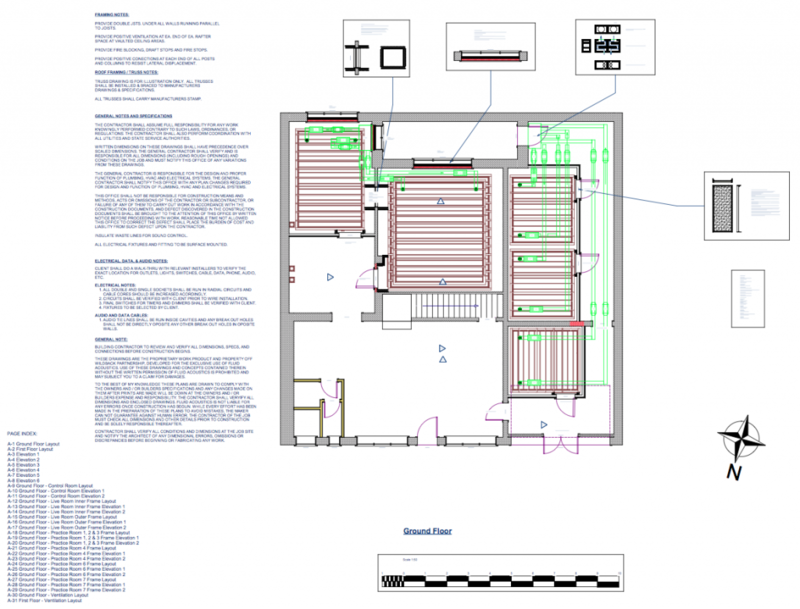 The design report shows the studios acoustic response, expected performance and how to build the studio from scratch. We also offer email or phone support as an add-on part of the package. 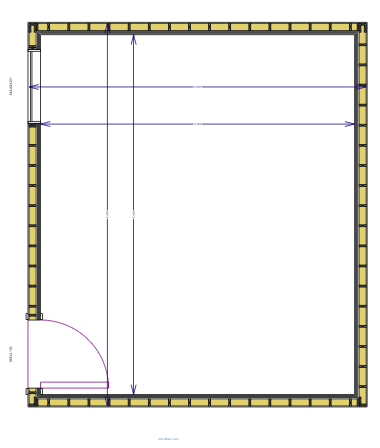 As well as offering custom recording studio schemes, we also offer off-the-shelve studio schemes that come in several shapes and sizes. 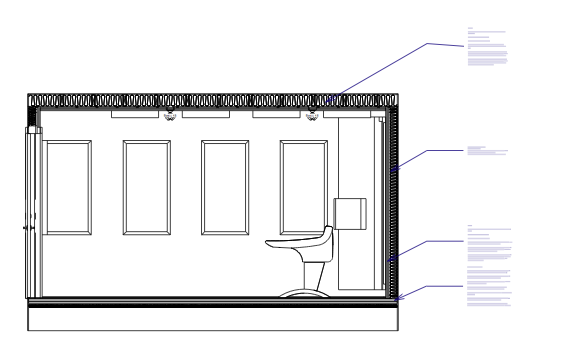 Below is an example off-the-shelve recording studio scheme you can expect to find. 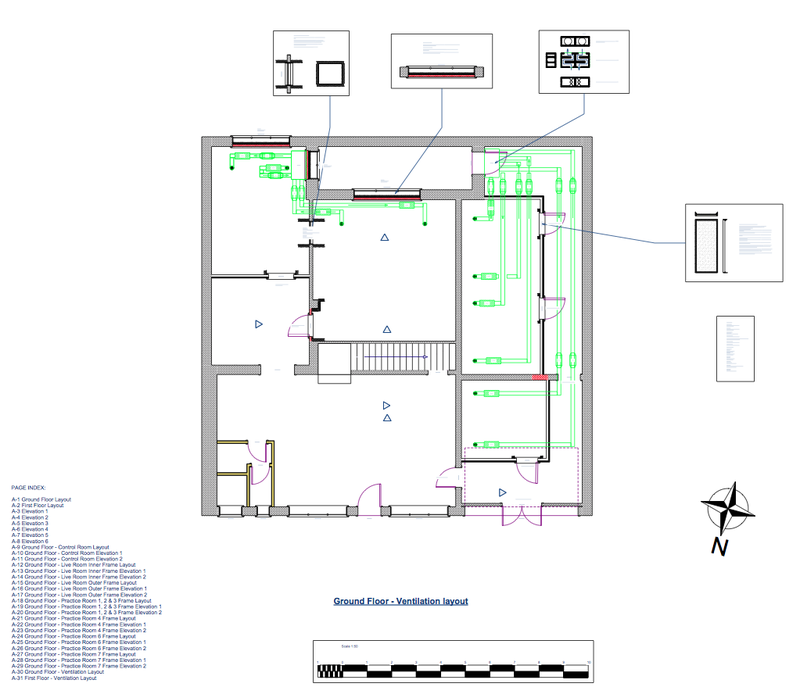 The images exclude construction documentation and reports, as these can easily be copied. All our content is subject to copyright as such, the images below are low resolution. 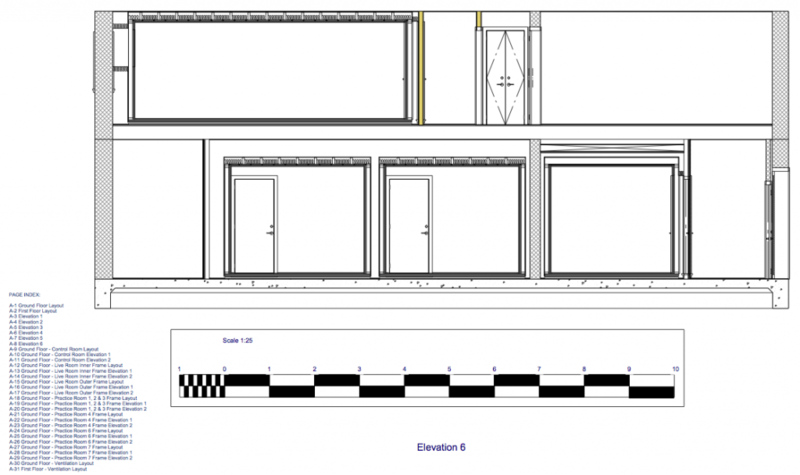 Below are some example drawings for a complex recording studio studio scheme. 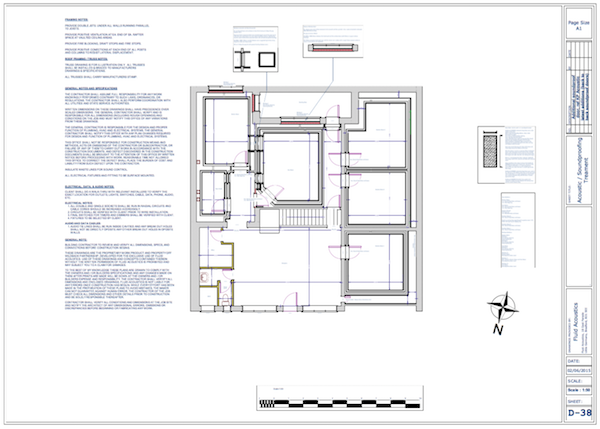 The images below exclude construction documentation and reports, as these can easily be copied. 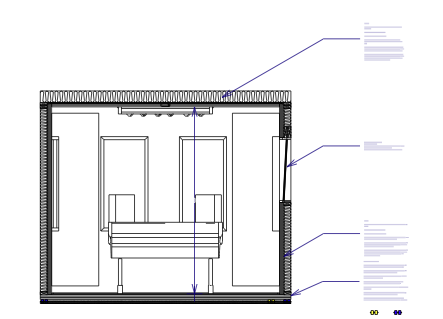 All our content is subject to copyright as such, the images below are low resolution.